As a 24-year old, I have been to 4 continents and 13 countries. 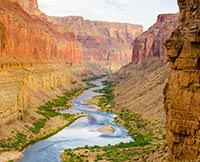 If someone were to ask what my favorite place is, I would say the Grand Canyon rafting trip with Western River. Truly amazing place!!! I have been four times and each year gets better! There are always new things to see that I may have missed the first time. I recommend it to everyone!